Watercolor paintings are known for having vibrant colors and an expressive style. Since acrylics are water-based, you may be wondering how you can make them behave more like watercolors. How do you make acrylics look like watercolors? 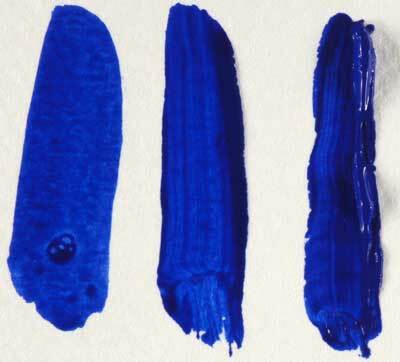 To make acrylics look like watercolor, it’s important to begin with an acrylic paint that has a thin consistency. Soft body acrylics, fluid acrylics, and acrylic ink work best. Most watercolor paints are transparent so you should select acrylic colors that are transparent. Finally, take the time to study some of the basic watercolor techniques so you can apply those techniques to your acrylic paintings. The 3 characteristics that I believe make watercolors unique are listed below. Take a look at popular watercolor paintings online and analyze them. I bet they contain most, if not all, of these characteristics. The rest of this post explains how I replicate these effects with acrylics. Expressive Style: Washes of watercolor paint are as thin as water and this causes the paint to flow freely. You can take advantage of this to create interesting effects that you can’t paint by hand. 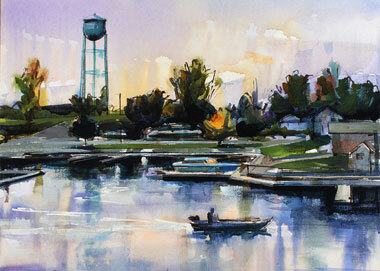 Vibrant Colors: The transparent nature of watercolor paints is what makes the colors pop. Adding white to a color makes it look chalky. Transparent organic pigments are usually the most saturated. Random Effects: Compared to other painting mediums, watercolor paintings have a spontaneous feel to them. They look as if they were painted without effort. Areas of different colors can mingle and mix on the paper. 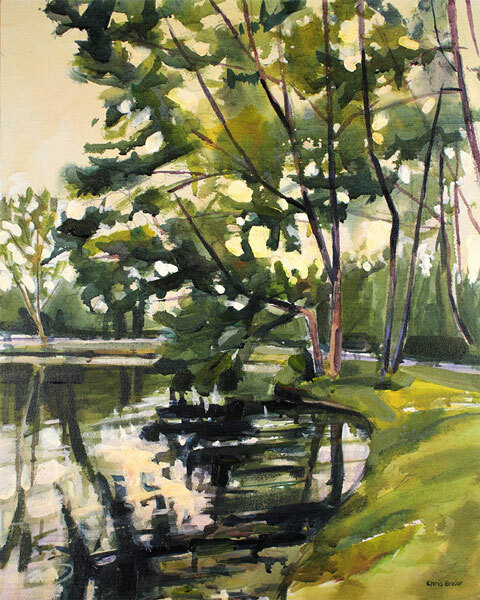 Capitalize upon the uncontrollable nature of watercolors to develop a spontaneous style. Since the predominant characteristic of watercolor paint is that it flows freely, you have use acrylic paints that have a similar consistency. Watercolor paints are thick when you squeeze them from the tube, but that’s because they’re concentrated. For most techniques, you dilute the watercolor paints with plenty of water to make them flow on the paper. This is the same color in three different viscosities. From left to right are Golden High Flow Acrylics, Golden Soft body acrylics, and Heavy Body Acrylics. The most common mistake that acrylic painters make when painting in a watercolor style is they begin with the wrong type of acrylic paint. Acrylic paint is available in a variety of viscosities, which is the consistency of it. The most common type of acrylic paint that you see in craft stores is heavy body acrylics which has viscosity similar to oil paint. The thick consistency will retain the texture as it dries. The viscosity of paint is the thickness of it. Heavy body acrylics are high viscosity as are most student grade paints. You can dilute heavy body acrylics with water until they flow like watercolors. However, it’s going to require a lot of water and this will make your colors look pale. You won’t be able to achieve the intense vibrant colors that you’re looking for. Another issue is that if you plan on painting on canvas, then you shouldn’t dilute the paint with more than 30% water. That’s because you’re also diluting the binder when you add water to acrylic paint. Over thinning acrylic paint can lead to adhesion problems. There are low viscosity acrylics that have a thinner consistency so you won’t have to add as much water. Liquitex makes soft body acrylics and Golden has a line of Fluid Acrylics. There are other brands of fluid acrylics, such as the ones made by DaVinci or Utrecht. All of these brands of fluid acrylics don’t require as much water to make them behave like watercolors. Look for an acrylic ink if you want the thinnest acrylic paint. Liquitex has a line of acrylic ink that you can use on canvas and mix with their other products. Golden also offers High Flow Acrylics which have an ink like consistency. Keep in mind that Golden states that their high flow acrylics contain retarders so allow them to dry for several minutes before painting over them. You can also use a hair dryer to make the paint cure faster. You may also be interested in reading my post about how to dilute acrylics for more in depth information. Watercolor paintings have vibrant colors because most of the pigments are transparent. 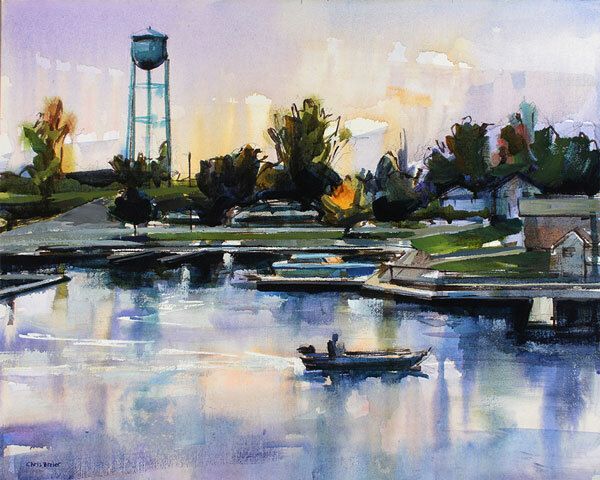 If you work with watercolors, you will know from experience that introducing white into the painting can often make the colors look flat and dull. I use white in watercolor paintings, but it’s for adding minor highlight details in the final stages. White can be used strategically in other parts of the painting, but not to the extent white is used in other painting mediums. Acrylics are available in transparent and opaque pigments so it helps to become familiar with which ones are transparent. The base colors that I recommend are below. The 7 colors you need to start painting with acrylics contains a color wheel created with these colors. It’s worth reading this post because some parts of the traditional of the color theory that’s taught in school doesn’t actually work with paints. For example, red isn’t a primary color and you can’t mix a brilliant purple from red and blue. The secret to mixing purple is to use magenta instead of red. Click the “color” category in the sidebar to browse all of my posts about color (on mobile devices the sidebar content is at the bottom). There’s nothing wrong with adding more colors to your palette. I use additional colors when it’s necessary or when it’s more convenient. Paint manufacturers list the opacity of their colors in their color charts and even on the tube itself. I find that most of the red acrylic pigments are opaque. However, you can mix your own transparent red from Quinacridone Magenta and Hansa Yellow Medium. This is probably the most difficult part to making acrylics look like watercolor. It doesn’t take much effort to acquire some fluid acrylics, but mastering watercolor techniques requires practice. The reason why watercolor painting is so difficult is because the paint is transparent which means you can’t paint over your mistakes. You’ll encounter the same challenges if you work transparently with acrylics. The advantage of acrylics is that you have the option to incorporate opaque colors into your paintings. You can use these opaque colors to cover over mistakes, but you have to do it in such a way that it doesn’t look fussy. Below are some of the effects that you’ll see in watercolor paintings. Try practicing on some scrap canvas or paper and then incorporate some of these techniques into your paintings. One of the most common watercolor painting techniques is to paint on a wet surface. You can accomplish this by wetting the canvas with water, or by painting into an existing wash that’s still wet. Painting onto a wet surface will cause the paint to spread. This creates shapes with soft edges. All of the paintings in this post contain examples of this effect. 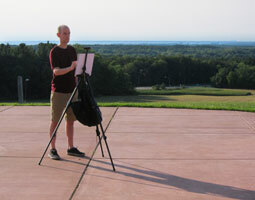 I usually paint the skies in my landscape paintings using this technique. The soft edges work well for painting clouds and the subtle gradations in the sky. Creating soft edges with acrylics is normally challenging because they dry so fast, but its’ easy to accomplish if you use these watercolor techniques. A variegated wash, or a mingled wash, is when you introduce a second color to a wash and allow the colors to mix. It’s a very common technique and it’s often what makes a watercolor painting look like it was painted effortlessly. One strategy that I use is that I often mix up a warm and a cool version of each color and use them in the same wash. For example, If I’m painting the shape of a tree then I might mix up a yellow-green and a blue green. Then I’ll use both colors to paint the shape. Welcome to Draw and Paint for Fun! I’m Chris Breier and I’m an artist from Buffalo NY. This site is owned and operated by Chris Breier. DrawAndPaintForFun.com is a participant in the Amazon Services LLC Associates Program, an affiliate advertising program designed to provide a means for sites to earn advertising fees by advertising and linking to Amazon.com.